A mdebut collection of beautifully crafted and powerful poems, speaking about race in the UK as eloquently and urgently as Claudia Rankine's Citizen did for the U.S.
Translating as "initiation," kumukanda is the name given to the rites a young boy from the Luvale tribe must pass through before he is considered a man. The poems of Kayo Chingonyi's remarkable debut explore this passage: between two worlds, ancestral and contemporary; between the living and the dead; between the gulf of who he is and how he is perceived. Underpinned by a love of music, language, and literature, here is a powerful exploration of race, identity, and masculinity. 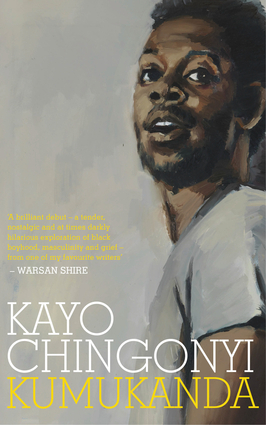 Kayo Chingonyi is the author of Some Bright Elegance. In 2012, he was awarded a Geoffrey Dearmer Prize, and was Associate Poet at the Institute of Contemporary Arts (ICA) in 2015.